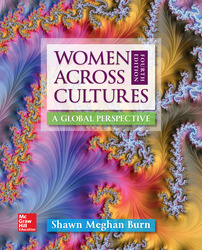 Women Across Cultures examines contemporary women's issues and empowerment from a global perspective. Gender inequality is examined as a historical, sociocultural phenomenon within the context of interlocking systems of inequality such as racism, colonialism, and economic injustice. A strong emphasis is given to the variety of approaches and actions women take to promote gender equality and to influence women's progress. The influence of intersectional and contextual factors on women's issues, activism, and movements are a key focus.